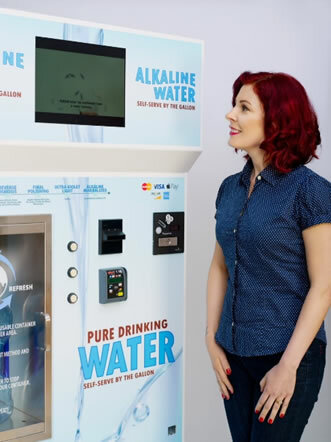 Our line of self-serve WaterStations purify water to the highest standard and percolate it through a series of natural minerals to create a virtual spring water with electrolytes and an alkaline pH. 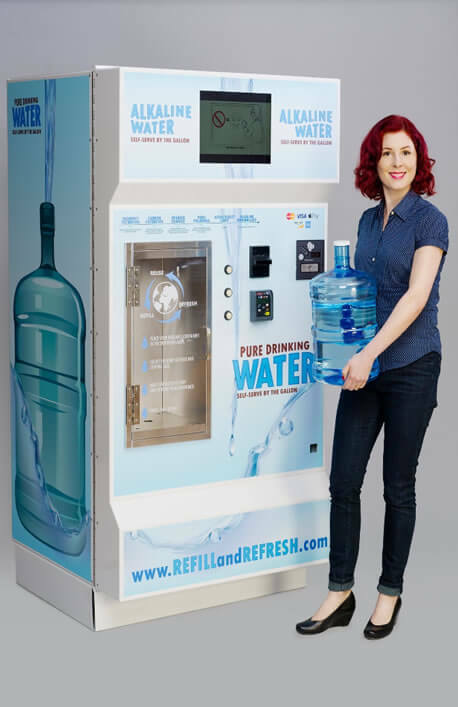 WaterStation Technology is a forward thinking, water purification company that utilizes technology to better serve partners and clients. 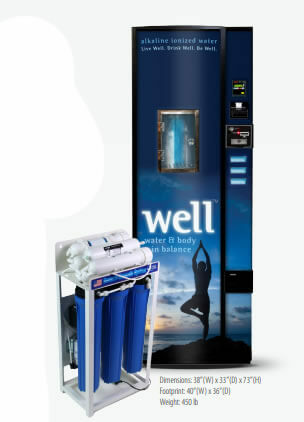 We manufacture, deploy, and operate water purification machines that produce alkaline water. Our machines utilize our patent-pending filtration system to purify and mineralize water on-demand. The most recognizable locations for a bulk vending machine like ours is at your local grocery store. Consumers bring in their refillable container and buy water along with their other groceries. Our mission is to provide individuals, towns, cities and whole nations with a healthier and less expensive drinking water delivered through more responsible purification systems that do not damage the environment. We feel privileged to be on the vanguard of a movement to purify the world’s drinking water, which itself is the essence of life. We partner with Joint Venture investors to deliver a completely passive, total turnkey investment opportunity. Our Joint Venture Partnership business model allows investors the opportunity to partner with WaterStation Technology in supplying the purist water to consumers throughout the United States. The responsibilities in the model are included in the investment price, there are no hidden fees or additional costs. Additionally, investors should enter this agreement with the understanding that this is a passive, long-term investment. The decision to partner with specific grocery and convenience stores, as well as the evaluation for placement in specific regions, states and cities are all done with a long-term view in mind. Of course, the foundation of all decisions is to create the greatest returns to investor partners, the greatest value to partner locations, and to enter the best investor/location partnerships for WaterStation Technology: we intentionally put “create the greatest returns to investor partners” as our first priority. If you are ready to make a change within the next three months, please request information.